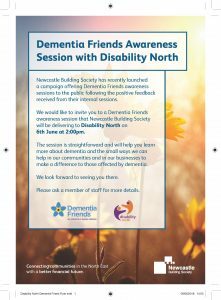 The session is straightforward and will help you learn more about dementia and the small ways we can help in our communities and in our businesses to make a difference to those affected by dementia. We look forward to seeing you there. 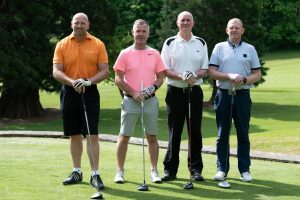 Congratulations to Vic Young winners of the Disability North Golf Day, 2018 who won with a score of 88 with Stagecoach in second place one point behind with 87. Thank you to all the teams that took part this year, we hope you enjoyed it, and hope to see you again in 2019. To view pictures of the day please click on the following link: Disability North Golf Day. Are you an older and/or disabled person? Unable to access the Internet or computers? Want to be able to improve your computer skills, so that you can use the Internet to shop, socialise, pay bills, apply for jobs, make benefit claims, etc? Then ‘Digital North’ is for you! We are here to help older and disabled people get on-line and make the most of new technology. We can offer informal one-to-one or group training, support and advice, help with Internet queries and problems, etc.